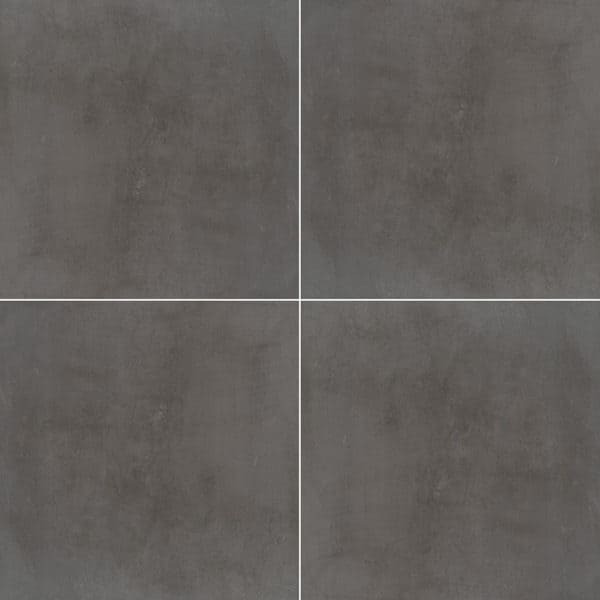 Beton Antracite Porcelain Pavers feature deep charcoal hues in a subtle, elegant pattern Offered with a matte finish, these pavers are perfect for projects both indoors and outdoors, and they are suitable for commercial and residential properties. Create beautiful paths, walkways, floors, and patios with these porcelain pavers. Beton Antracite Porcelain large format 24×24 matte finished pavers complement a variety of design styles, from traditional to contemporary, and are particularly suited for use in busy kitchens and baths.